Deira holds a lot of Dubai secrets, from the beautiful abra to the cheap eats to a busy nightlife - Deira has it all! 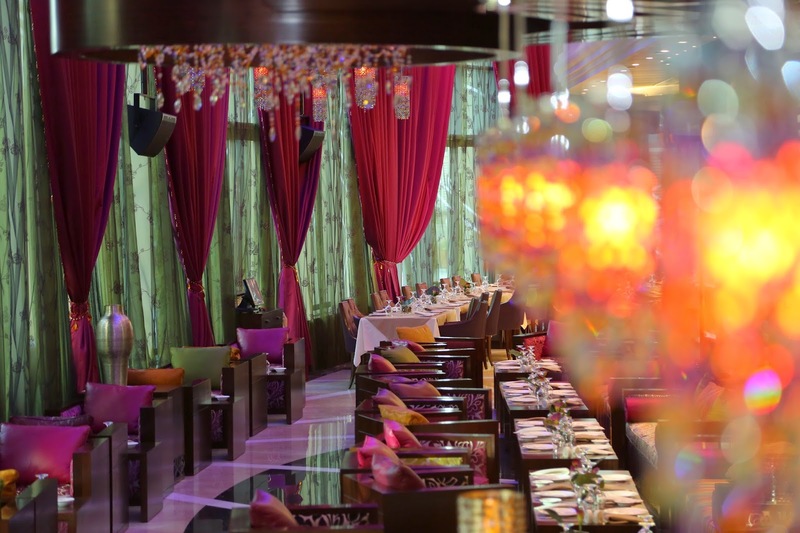 One of the first places my then boyfriend (and now husband) had been to was La grotta in Al Khaleej Palace, and having been invited here recently I'm happy to say it still lived upto the expectation we had from the last time we dined here. To start off the evening we had the lobster cappuccino, which in one word is: unique! Served like a cafe latte this hot soup was the perfect way to start a meal. We then went on to another unique starter - the Arancini. Risotto mixed with meat and parmesan cheese and lightly fried. Worth a try! Also keep in mind that just one of these is able to fill you up! Our food went perfect well the manager's recommendation of a Kiwi-mint cooler. Not to over use the word - but this too was unique simply because the kiwi taste wasn't too bitter or over powering as I expected it to be. For the mains we had the La grotto pizza which was the dish of the night - to be honest I think their pizza's in general (from my last time experience here as well) are highly recommended! My dining partner also had the pan-fired salmon with the orange butter sauce and sweet potato fries which I enjoyed however it was a tad bit over-cooked. For the dessert we opted for the tiramisu, which sadly I cannot recommend at all since it was extremely bitter and not to our liking. Overall however we quite enjoyed our experience and we'd be back for the pizza's and the lovely new decor, perfect for a dinner for two away from the noisy streets of Dubai!